Saudia, Saudi Arabia’s flag carrier, is a luxurious airline with outstanding service. Its loyalty program, Alfursan, is well-regarded, offering members some nice perks. Although the program’s redemptions for miles are generally priced conservatively, there are a few excellent deals hidden in its award charts. In some cases, Saudia Alfursan will give you better redemption rates than its partner Delta Air Lines. Adding to the value of its awards, the airline doesn’t typically impose fuel surcharges on its own flights. The Family Member Program is one of Alfursan’s best perks, and one of the most generous miles-pooling benefits in the world. It allows the head of a household to pool miles with eight other members, including private chauffeurs and housemaids. Options for earning Saudia Alfursan miles are quite limited. Saudia doesn’t have U.S.-based transfer partners, so aside from actually flying, you can only earn miles with its hotel, car rental, retail and other partners. 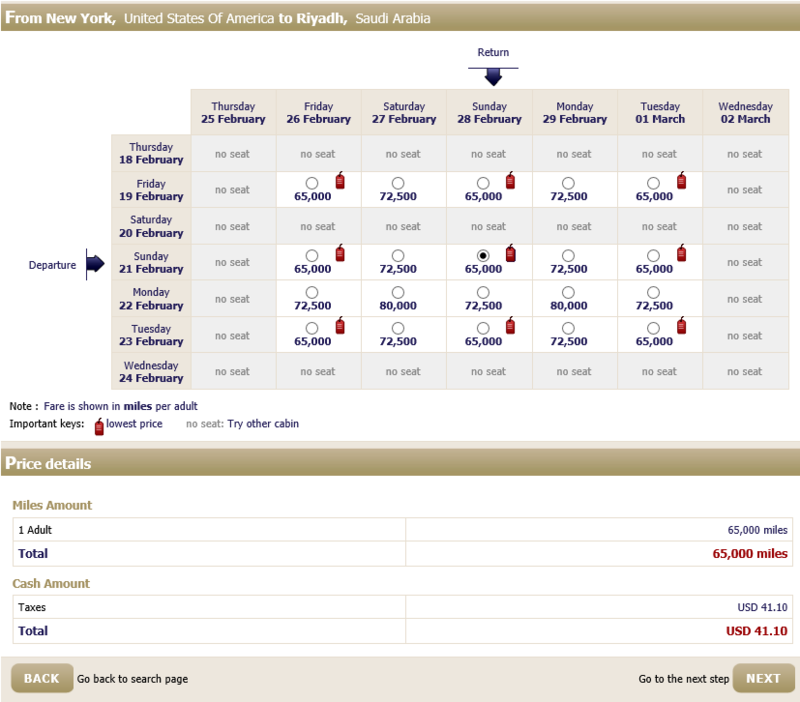 You can also buy Alfursan miles, but at around $30 per 1,000 miles, this is not a great option. Saudia Alfursan has two economy redemption levels: Guest Saver and Guest Freedom. Saver is the cheaper fare, but the cost difference between the two is not prohibitive. Business and first class, as well as partner airline awards, do not have separate redemption rates like economy. When Should You Use Alfursan Awards? 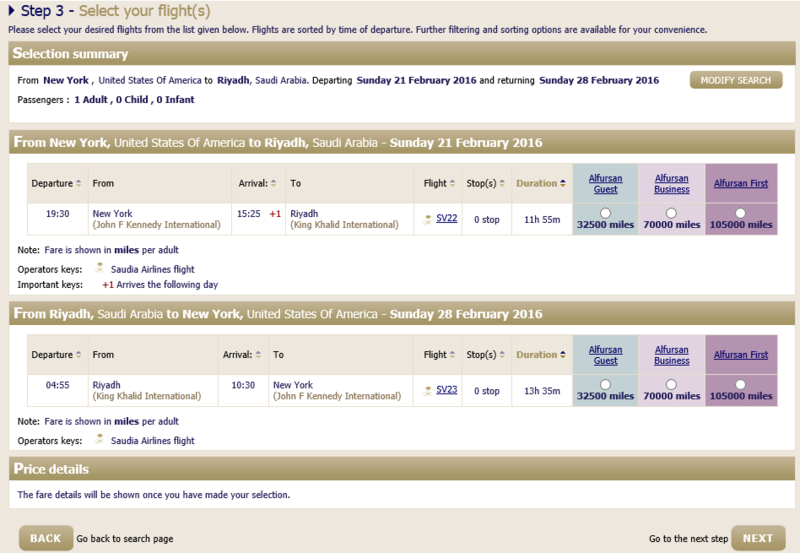 Award seats on Saudia to Saudi Arabia are reasonable as long as you aren’t flying from the West Coast. An economy class seat costs 65,000 miles per roundtrip, while business class is 140,000. First class awards are a bit overpriced at 210,000 miles. Another good redemption option is flying on a SkyTeam carrier from the East Coast to most of Europe for 50,000 miles in economy. Premium class redemptions aren’t great on these routes. However, a business class seat between the U.S. and South America costs only 90,000 miles. And a business class seat between Hawaii and Australasia is only 80,000 miles, which is a bargain. 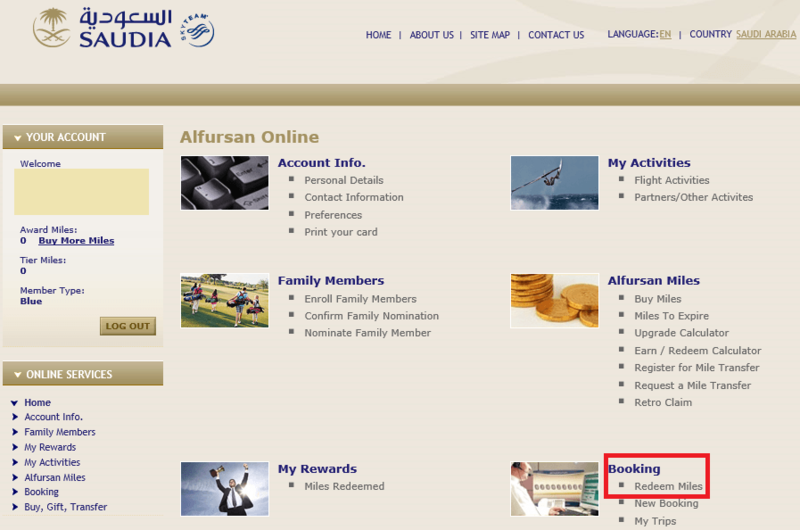 Go to Saudia’s homepage and click on “Alfursan log-in” in the upper right corner. 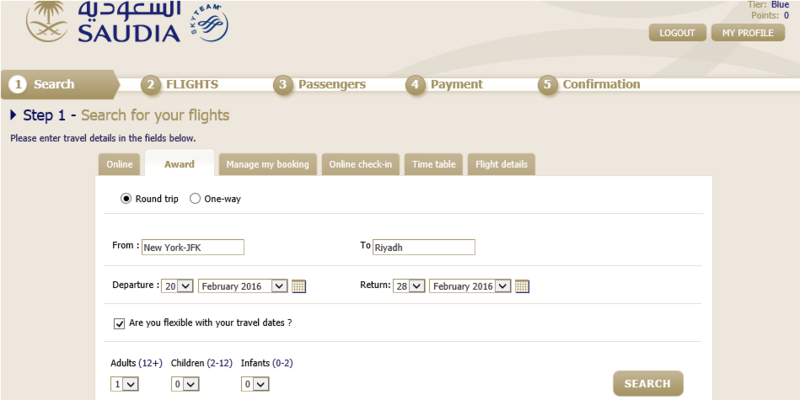 After logging in, select “redeem miles” under the booking menu. In our example, there are no fuel surcharges, and taxes are $41.10. The next page gives you the option to choose your class, if seats are available. If you have enough miles, you can click “next” after choosing your cabin class. On the next page, you’ll be asked to fill in your personal and billing information to pay for any taxes or fees. Since you are not calling an office in the U.S., remember to take into account the time difference between the U.S. and Saudi Arabia, which is Eastern Standard Time plus seven hours. You have to call to book flights on partner airlines and to create complex itineraries. There’s no fee for booking by phone.